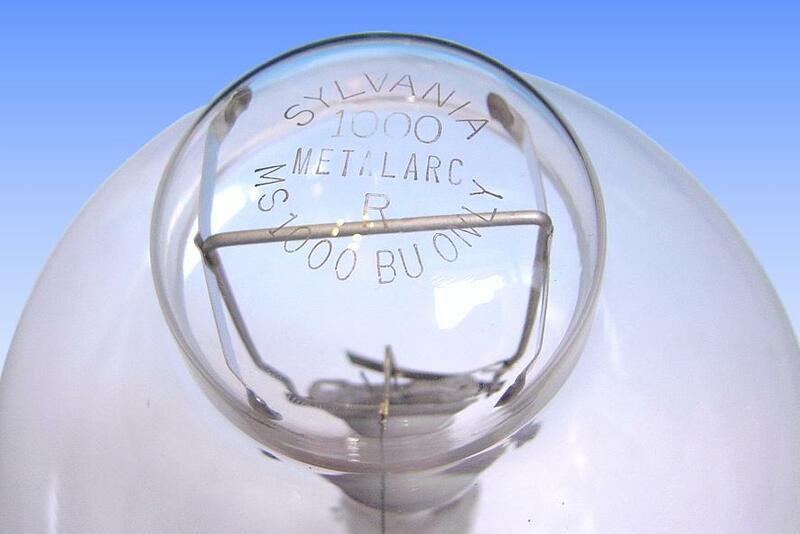 The Super Metalarc metal halide lamps were invented by Sylvania in the 1970s to deliver a 25% increase in efficacy for a given burning position. 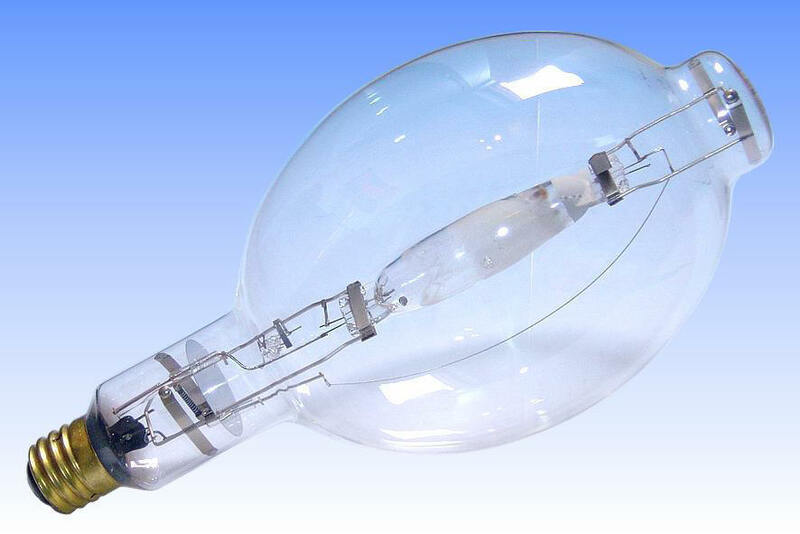 This is achieved by modifying the arc tube geometry to accommodate the variations in arc shape, and halide distribution in the arc, that are observed in normal horizontal and vertical burning lamps. Convection currents are present in all arcs due to the effects of gravity. For instance a horizontal arc will bow upwards at its centre - the reason why the electric 'arc' is so named. This excessively heats the upper centre of the arc tube wall and the lamp must be run at lower performance levels to prevent overheating here. 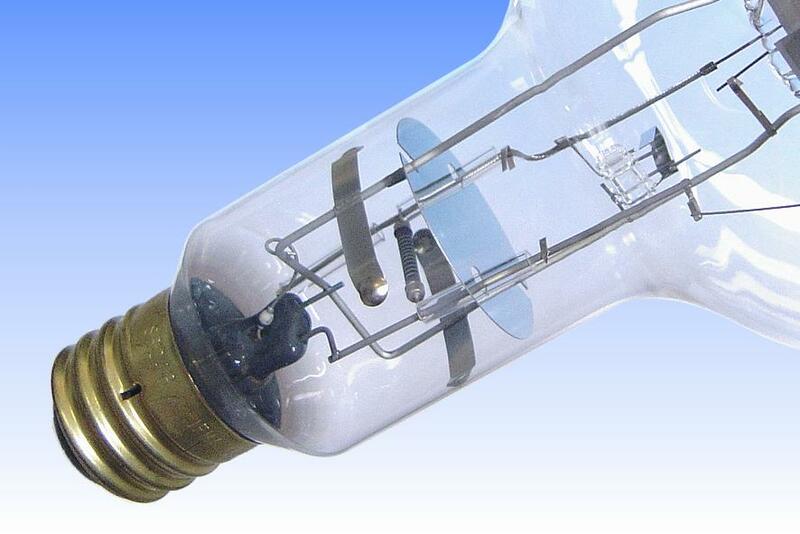 Curving the arc tube to match the shape of the arc realises improved thermal uniformity, allowing average temperatures to be increased with a benefit in efficiency, such as in the lamp described here. Matters are somewhat different in the case of vertical arcs. Here it is found that the arc tube convection currents tend to separate into upper and lower patterns. 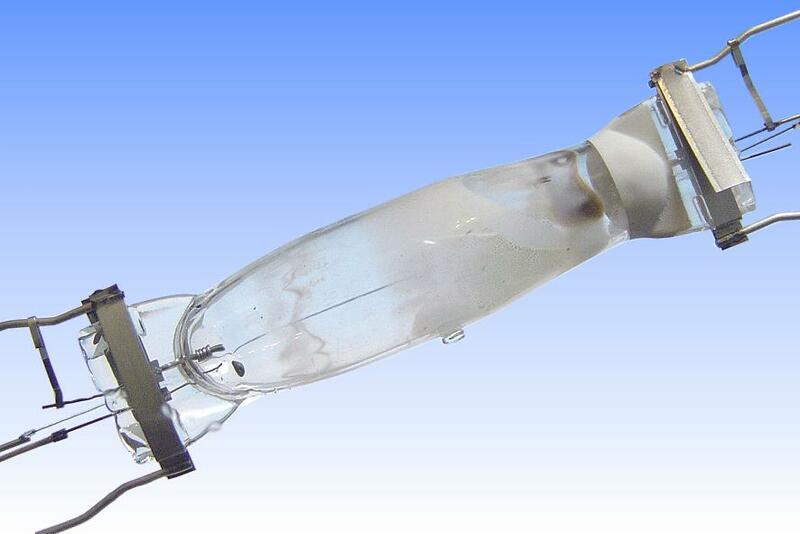 The lower pattern is richer in the metal halide additives and has high efficacy. 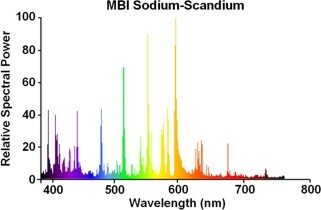 The upper pattern has a lower halide concentration and is closer to a plain mercury discharge. 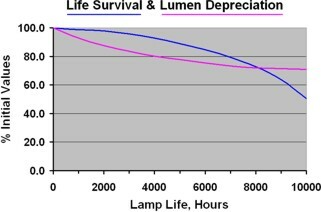 The total lamp output and efficacy is a combination of these two regions. By expanding the arc tube diameter in the upper region, the lower halide-rich region is encouraged to fill the arc tube volume with one single convection pattern. The result is a 25% increase in luminous efficacy and better colour uniformity. A coating of heat-reflective zirconium oxide paint behind the lower electrode serves to raise the wall temperature in this region. 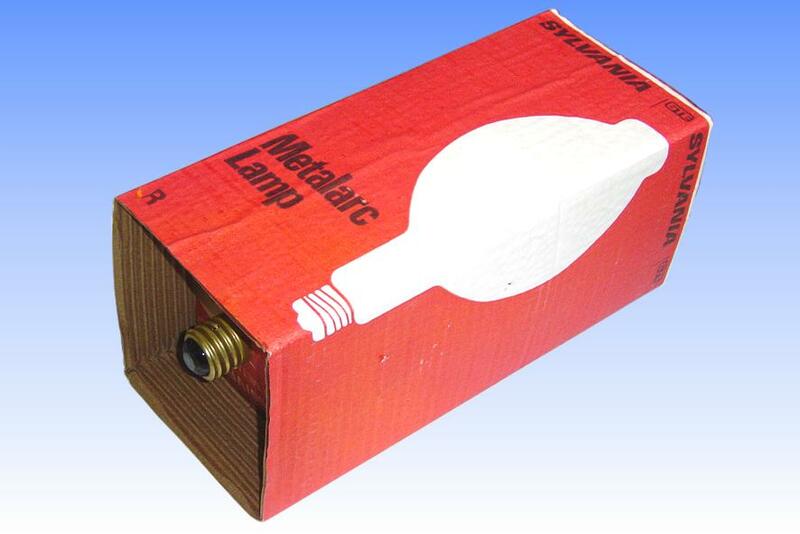 References: 1) GTE Sylvania Engineering Bulletin O-344, Metalarc Lamps, July 1979. 2) GTE Sylvania UK "Super Metalarc" Brochure, c. 1987. 3) GTE Sylvania Large Lamp Price Schedule, April 1991.